Ross Sutherland was born in Edinburgh in 1979. He was included in The Times’s list of Top Ten Literary Stars of 2008. His debut poetry collection, Things To Do Before You Leave Town (Penned in the Margins), was published in January this year. Ross is also a member of the poetry collective Aisle16 with whom he runs Homework, an evening of literary miscellany in East London. His one-man poetry/comedy show, The Three Stigmata of Pacman, debuts at the Old Red Lion Theatre in Islington in January 2010. Visit Ross’s website. than frayed notes, hinting at a distant mood. Her eyes were not one thought, but two. had a distinct tone and shape. Ovid laments his exile from Rome. In winter, we underwent an odd shift of register. Humour masked an aposiopesis. I trailed off into northern slang. She was as personal as Emily Dickinson. We were happy spanning joy and death together. heat rising up into the negative space above us. but they were made noticeable by their rarity. felt too much like a generic picture of despair. (Penned in the Margins, 2009). Buy Things To Do Before You Leave Town. 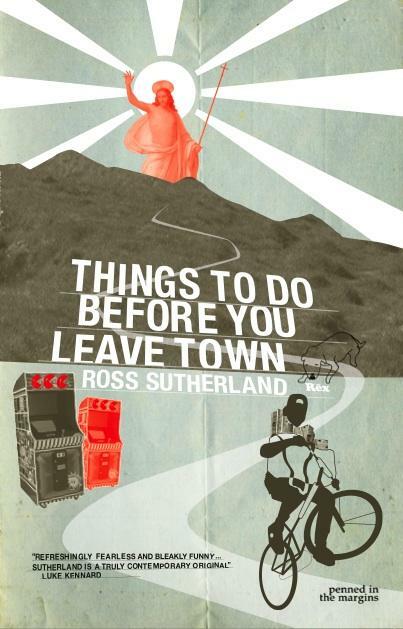 Check out a new animation based on another of Ross’s poems from Things To Do Before You Leave Town. This entry was posted in books, poetry and tagged Aisle16, Critical praise for my last relationship, Penned in the Margins, poetry books, poetry collections, Ross Sutherland, Ross Sutherland poet, The Three Stigmata of Pacman, Things To Do Before You Leave Town on 18/11/2009 by peony moon. “Her eyes were not one thought, but two.” It’s a lovely pause and awesome emphasis after stanza one. I love the title and book cover, too. His style reminds me of a friend of mine, so now I have more links to pass along to a friend. Thanks again, Michelle! 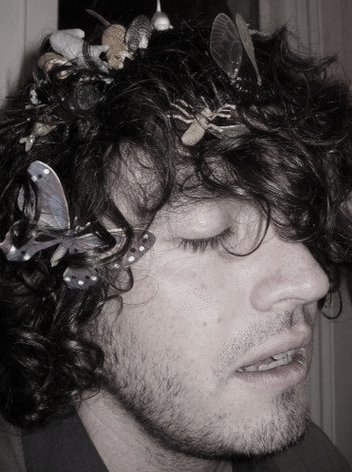 Pingback: One Night Stanzas » Blog Archive » Procrastination Station #59: Happy 2010!